Bishop Steve Lowe, Bishop of Hamilton, will attend the Synod on behalf of the New Zealand Catholic Bishops Conference. WelCom spoke to Bishop Steve prior to him leaving for Rome. Q: Bishop Steve, what is your role at the Synod as NZCBC representative? Synods of Bishops are usually held every five years. 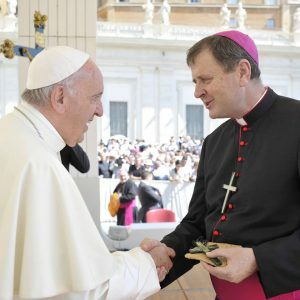 The Synods enable the Holy Father to reflect with Bishops from around the world on the theological or pastoral issues facing the Church in our time. So, my role is to be the New Zealand voice in this global reflection of the Church on Young People, the Faith and Vocational Discernment. Q: What do you think may be the ‘dominant’ topics at the Synod? I think the major issue will be on the clashing between faith and the challenges of the digital age. Young people are always quick to embrace new technology and they are active in social media and the internet. Yet at the same time people are becoming more disconnected. The digital age offers us many opportunities but it also has major pitfalls that we are seeing reflected in young people throughout the world. Q: You work closely with young people and youth ministries here in Aotearoa New Zealand. 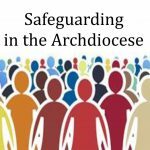 What are the issues you perceive as most important and challenging among young people here – and internationally; both generally and more specifically in relation to the Synod theme? We have some amazing young people active in the life of the Church here in Aotearoa New Zealand, but they are a minority. Many of their peers do not have a robust faith life. 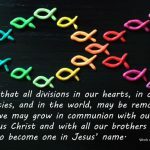 Many will say they are spiritual but will not connect to a Christian denomination or religion. The problem with this is that we end up constructing God in our own image and likeness. Following on from this the less we live and share our faith the more secular we become and in the end life itself comes down to self-opinion and often in a self-focussed way. Christianity is vastly different. As disciples of Christ we are called to abandon ourselves and follow Him as our Way, Truth and Life. We find hope in Him and in imitation of Him we give our ourselves for the life of the world. Q: Are there any particular messages or issues you will be taking to Rome on behalf of young people in Aotearoa-New Zealand? Q: Will you be making a presentation in any form at the Synod? Yes, each bishop gets to make a four-minute intervention. Q: How might you convey the messages from New Zealand? Following on from this there is small group discussion work and writing groups to capture the most significant streams of thought and reflection. 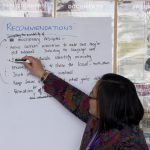 Q: What are your own hopes that may develop from the Synod about helping and guiding young people in their faith and vocational discernment journey? Our world is more than in a rapid state of change, it is as Pope Francis said, in a change of era. The big change I think the Church needs to make is how it speaks to young people. Young people themselves are seeking a Church that will dialogue with them, where their voice is appreciated and where the wisdom of the Church is offered rather than imposed. Over the last 50 years parenting has changed. Parents are more open in talking with their children and intimate in their parenting. Openness and intimacy were two major themes that our Kiwi young people indicated were important for them in their relationship with the Church.